The proportion of learner drivers involved in fatal car accidents is much lower than the proportion of learner drivers on the road, according to figures from the Road Safety Authority. The figures, which were compiled as the Government prepares to clampdown on learner drivers who drive unaccompanied, will feature on tonight’s episode of RTÉ's Prime Time. The RSA figures suggest that in the past four years just 5.8% of fatal collisions involved a learner driver. This is substantially lower than the almost 9% of all drivers in Ireland whohold learners permits. There are plans to amend legislation which would hold the owner of cars responsible if learner drivers use them unaccompanied. The proposals could see the introduction of fines, imprisonment and the seizing of vehicles. Speaking to RTÉ's Prime Time, the Chief Executive of the RSA, Moyagh Murdock, said: "On average twelve learners are involved in fatal crashes every year and ten are unaccompanied. "That compares very unfavourably with our near neighbours in the north where in 2016 they reported no learner or unaccompanied learner involved in a fatal crash. "Those are stark figures - there's not much difference in society between north and south but there is a different attitude towards unaccompanied learner drivers." 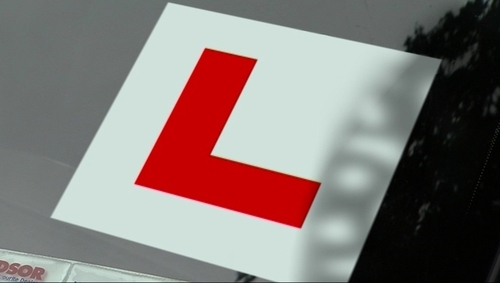 The RSA has said that in the past three years 47 learner drivers have been involved in fatal crashes. The authority told RTÉ Prime Time that unaccompanied learner drivers are "out there causing serious risk to other people. It really isn't acceptable."